I am not sure how to paint this story so you will have to make of it what you will. 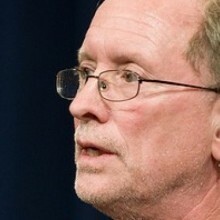 Bill Ayers is certainly someone who Americans can not and should not trust. He is a known and admitted terrorist who co-founded The Weather Underground in 1969. That organization was responsible for numerous bombings of federal buildings in the 70’s as their statement against American involvement in Vietnam. Ayers is also documented to have many connections to Barack Obama. Some are proven and some are not. It is fact that Barack Obama’s political career launched from a fundraiser held in Bill Ayers’ living room. That would denote that the two men were more than casual acquaintances at one time. Some believe that Barack Obama’s book, Dreams From My Father, was ghost-written by Ayers. Ayers has stated as much on more than one occasion but it is unclear whether this is fact. It has not been proven. Ayers has admitted to voting for Barack Obama twice, in 2008 and 2012, so regardless of the veracity of other claims and theories we know that he is at least an acquaintance of Barack Obama who has supported him up until now. My feeling is, that though I would never trust a word that Bill Ayers said, if an admitted terrorist accuses our President of terrorist acts he might be someone we would want to listen to. This story is what it is no matter what Bill Ayers’ angle might be. Maybe he is continuing down the path of trying to paint himself as the “kinder and gentler” communist. He has been working on that for years. For whatever reason our nation’s educators now think this man has something to offer. He was a keynote speaker at a national conference earlier this year. No matter what Bill Ayers’ history might be, I happen to agree with him about Barack Obama. Ayers cites the drone issue but there are many other issues that need to be discussed as well. Acts of Terror? Without a doubt. All of this stuff is happening right before our eyes and it is so blatant that even Bill Ayers can’t deny it. A Nobel Peace Prize winner has evolved into a war criminal.